Country wine and gastronomy, Burgundy is the home region of the FELIX family for several generations (1690). Located about 180 Kms south of Paris and 150 kms north of Beaune, the village of SAINT-BRIS LE VINEUX has a heritage and unique expertise in the winemaking field vin. For red wines from Pinot Noir and César, the winery is traditional with destemming, triage and aging in new oak barrels for some vintages. 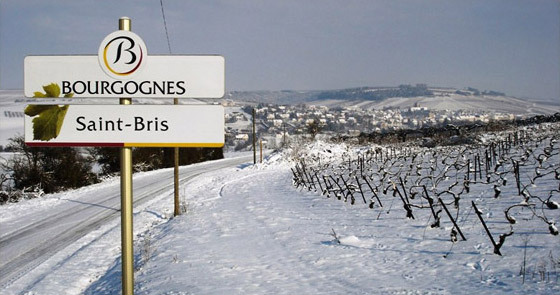 SAINT-BRIS LE VINEUX has the advantage of being at the heart of many appellations AOC Communal such as SAINT-BRIS, CHABLIS, IRANCY. It is at the center of the Grand Auxerrois vineyard and regional appellations such as Bourgogne Aligoté, Bourgogne Côtes d'Auxerre (White, Rosé and Red). The village offers a diverse range of the supple wines to the most typified wine. 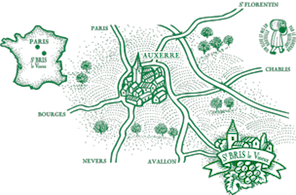 Saint-Bris represents the largest area of vineyards Auxerrois with a great diversity of grape varieties such as the CHARDONNAY, the SAUVIGNON, the ALIGOTÉ, the PINOT NOIR and the CESAR. It is the cradle of young names: the Burgundy CÔTES D'AUXERRE and SAINT-BRIS (the latter being the hundredth Communal appellation of Burgundy and the only outcome of this region sauvignon). St. Vincent Auxerrois is such a big party organized every 7 years in our village of SAINT-BRIS in honor of the patron saint of winegrowers. The last edition was in January 2013 with the theme "THE SPORT AND THE OLYMPIC GAMES". Visitors were able to cross the village transformed and decorated and taste with moderation 100 wines from different areas.